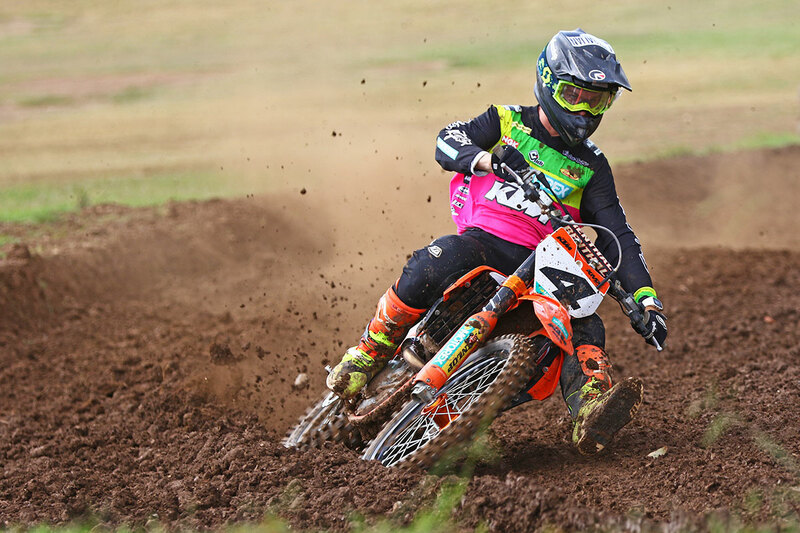 Signed with the prestigious KTM Motocross Racing Team for his 2018 Australian motocross and supercross campaign, New South Welshman Luke Clout is putting the final touches together ahead of the Pirelli MX Nationals opener on 15 April at Newry in Victoria. 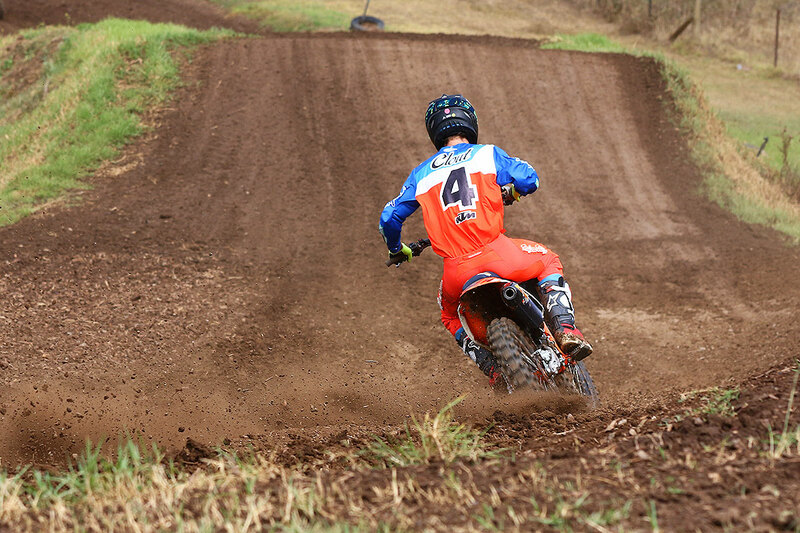 We recently caught the number four in action at Appin, and tracked him down for this latest Catching Up interview. Obviously for 2018 you’re with the KTM Motocross Racing Team, and you’re pretty deep into the pre-season now – how’s it all been travelling? Yeah it’s been a pretty good pre-season for me, I’ve been training really hard off the bike – I’ve basically got a new trainer now who’s been doing all my stuff. I feel like I’m really prepared off the bike and I’ve got the KTM team which is really structured and really professional, so that’s just been a bonus and we’ve been working really hard. We’ve pretty much done all our testing early, and now they’ve just put it up to me to go ride, put the hours in and get comfortable with everything they’ve given me. The bike is feeling really awesome and I’m feeling really good too. 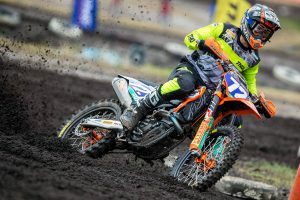 I think one of the keys from what we can see is that you’re based in Sydney and KTM is based in Sydney along with the race team as well, so it’s a pretty good opportunity to just work closely and really be part of the team and the brand itself. That was kind of a thing we worked out when we were talking about the deal last year, you know, the workshop was close to me and they could work closely with me as well – that’s a big thing for the both of us. Just for me to be able to say lets go testing, and I kind of organise it and meet at the track – it’s really easy. I can go to the workshop anytime I need to be there or anything like that – it’s a really big bonus for me. It’s really helped out having Jay [Marmont], Danny [Apro] and my mechanics out here day in, day out – it’s really helped and we’ve formed a relationship, so we know how to work together when the races come around too. What’s the working relationship like with Jay Marmont? 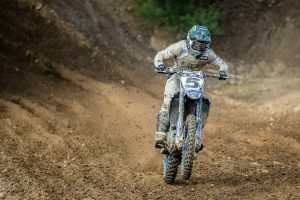 He’s obviously a multi-time motocross and supercross champion, and he’s not far out of racing himself. It’s really good. Jay and I, before we started working together already had a relationship from previous years. When you get to actually work with Jay, it’s on another level – he’s got a lot of knowledge off the bike and when we’re testing he’s got a really good eye and can pick up things on the track that we’re doing wrong or doing right. That’s been big key in helping me out, he’s giving me pointers and it’s something I’ve really taken on board to listen to anything he says and to go out and try anything he mentions. It’s really good to have him in my corner, especially when we’re going racing – it’s a real confidence booster. 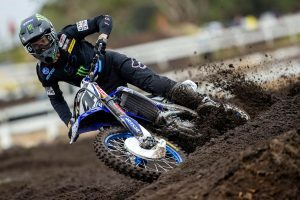 Last year was your return to Australia and also your first year in MX1, it seemed that regardless of the team folding at the end of the year, you just kept doing your thing and kept pushing on – looking back now, it’s sort of provided you a good platform to work from. Yeah, definitely. Last year there were some ups and downs with the team, but we’re not going to go into that – that’s part of racing. I just put my head down and worked with what I had, and I’ve been rewarded with the best ride in the pits. So I can look back at last year and say what could’ve been, but I’ve been rewarded with the best bike in the pits, and that’s what has kept me going and given me the confidence. These guys believed in me, and I showed some really good speed last year on a bike that I wasn’t as comfortable on as this KTM, and I believe with this bike and the team behind me, it’s going to be a really good year – I’m really looking forward to it and how it plays along. Any sort of specific expectations going into the season? Yeah, I have a very different expectation to last year – last year I was just seeing how I would go, but this year I want to be on the podium week in, week out – I want to be winning races and I want to be there at the end of this year winning this championship. I know it’s going to be really tough, Dean [Ferris] is going to be really good, Gibbsy [Kirk Gibbs] and everyone else. I think it’s realistic to be fighting for the championship, but if not the championship, I want to be on the podium at round 10 in Coolum. I definitely want to be on the podium and I definitely want to be winning races – I think it’s realistic and that’s what I’m working towards.